This gorgeous villa is surrounded by lush landscaping and a pool with a waterfall. 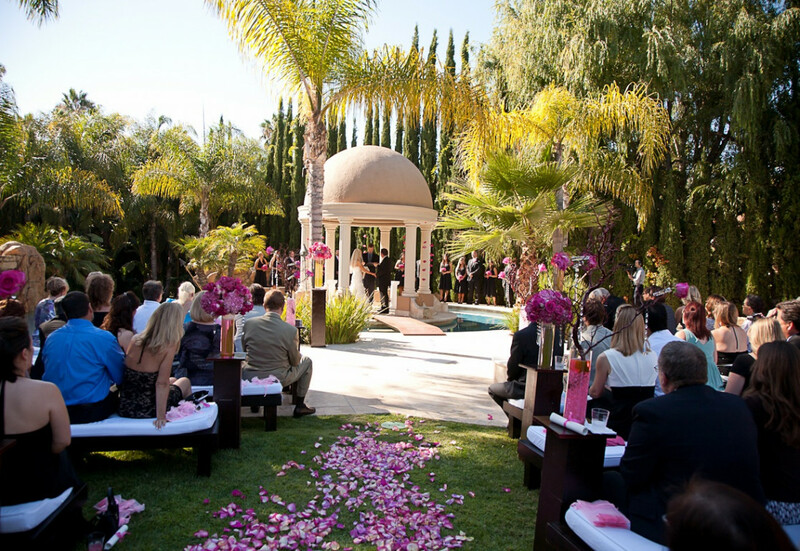 The property features an Italian stone gazebo in the center of swimming pool for ceremony. This estate is located in beautiful San Juan Capistrano. 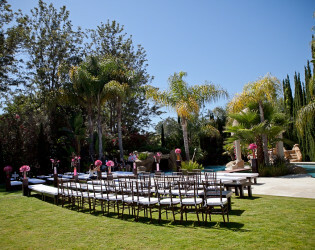 This gorgeous villa is surrounded by lush landscape with lavish palm trees and pool with waterfall. 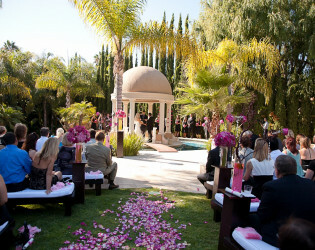 Italian stone gazebo in the center of swimming pool for ceremony. This estate is located in beautiful San Juan Capistrano. This gorgeous villa is surrounded by lush landscape with lavish palm trees and pool with waterfall. Covered outdoor lounge area with fireplace. 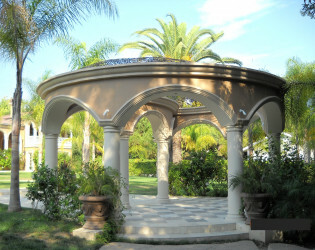 Italian stone gazebo in the center of swimming pool for ceremony. 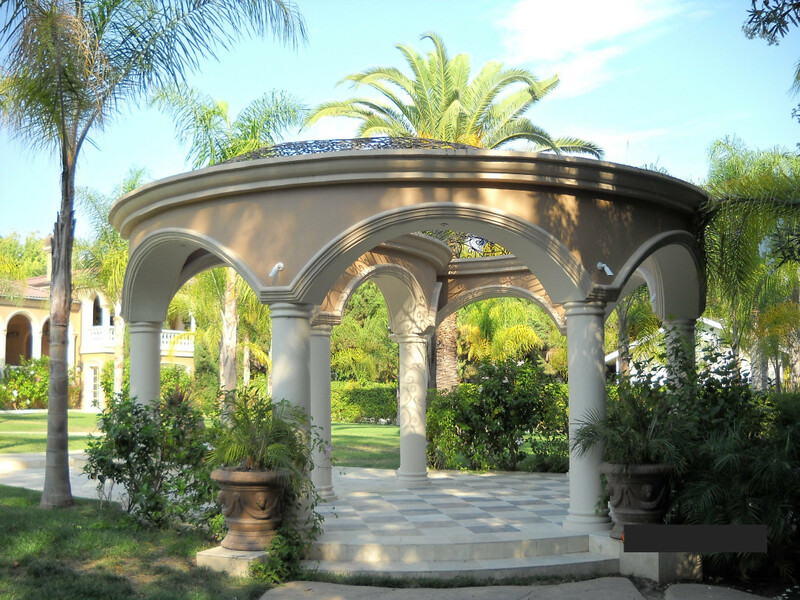 Beautiful architecture around the property. 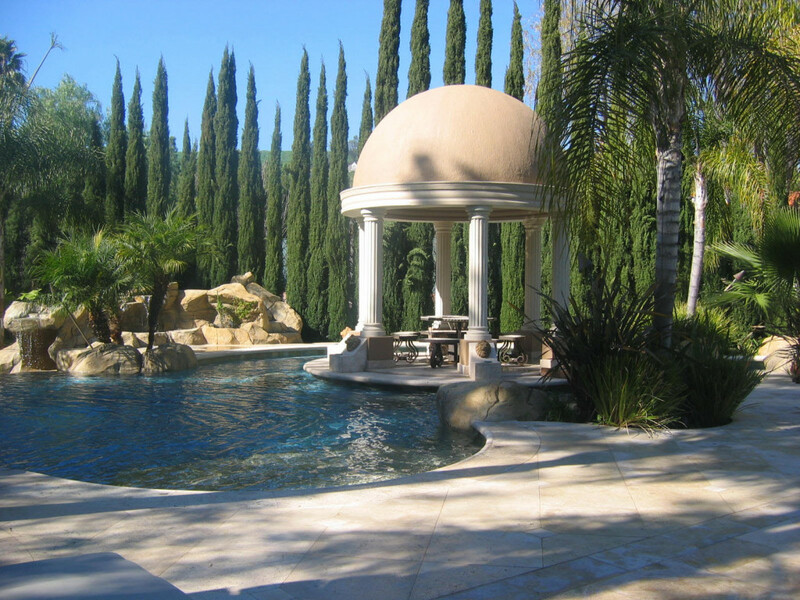 This estate is located in beautiful San Juan Capistrano. 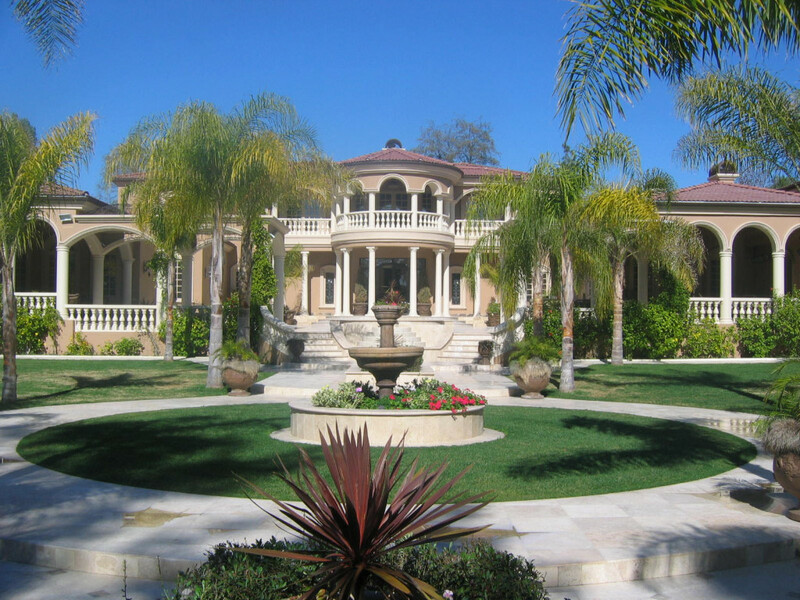 Italian inspired mansion in San Juan Capistrano. 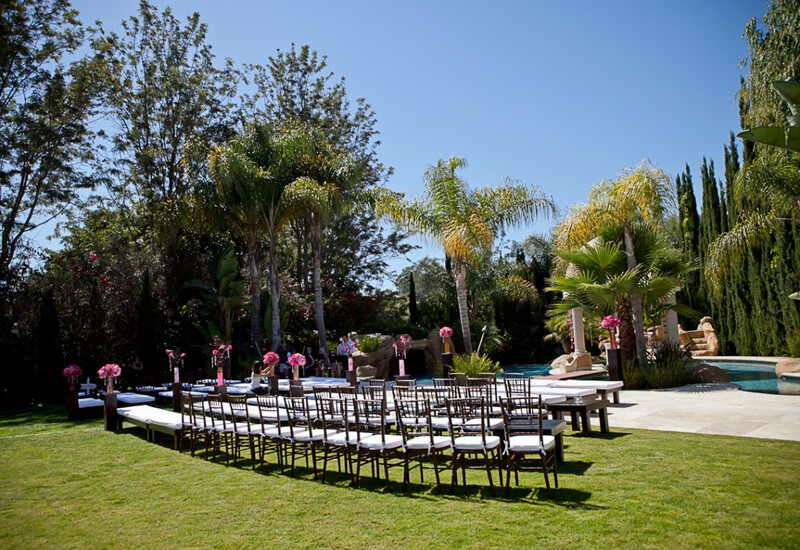 Well manicured lawn for events. 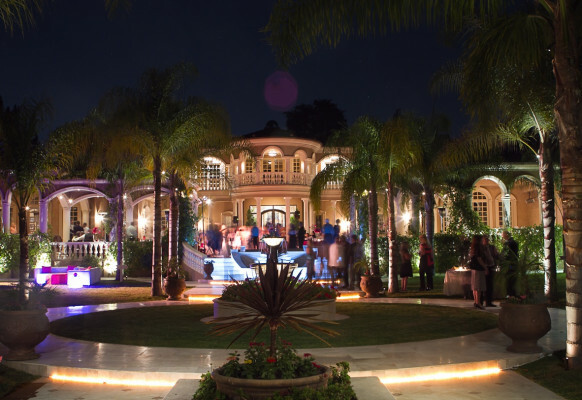 Mansion lit up at night.